Create an exquisite statement in your dining room with this counter height table. 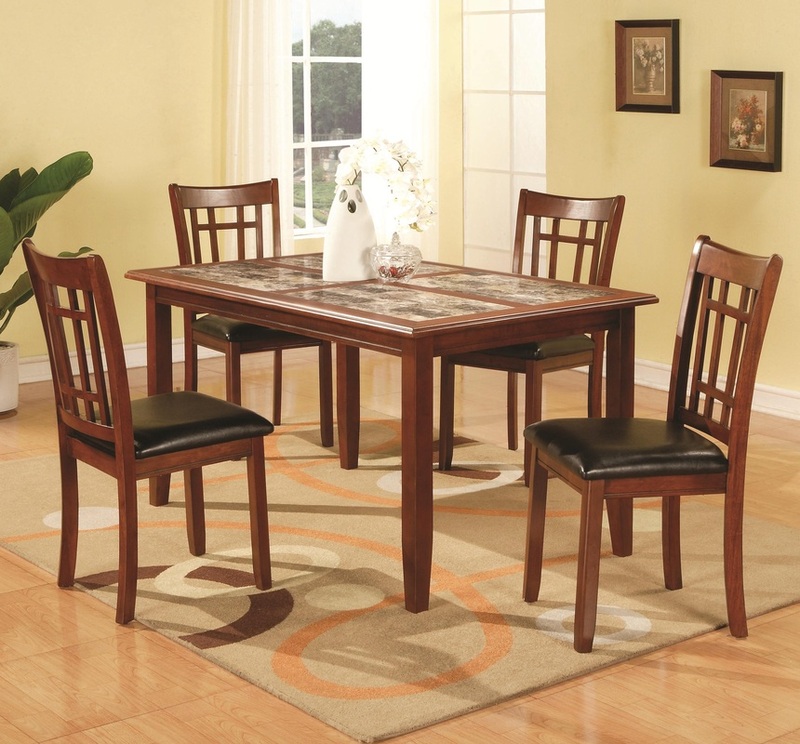 It features a natural marble like inlaid table top that will impress your guests. Fascinating and sleek tapered legs add a nice final touch to this wonderful piece. 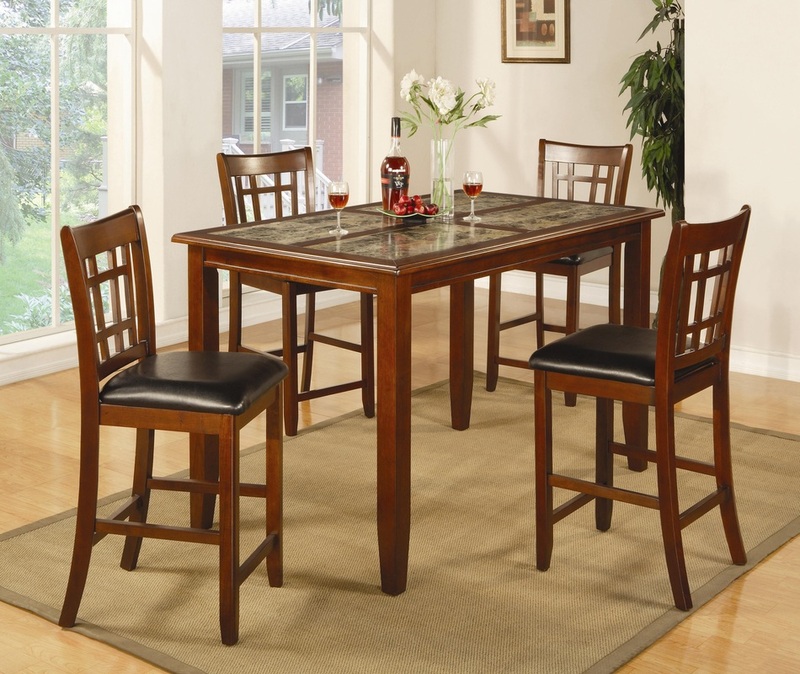 Combine this counter table with the counter chairs from this collection for a complete set.